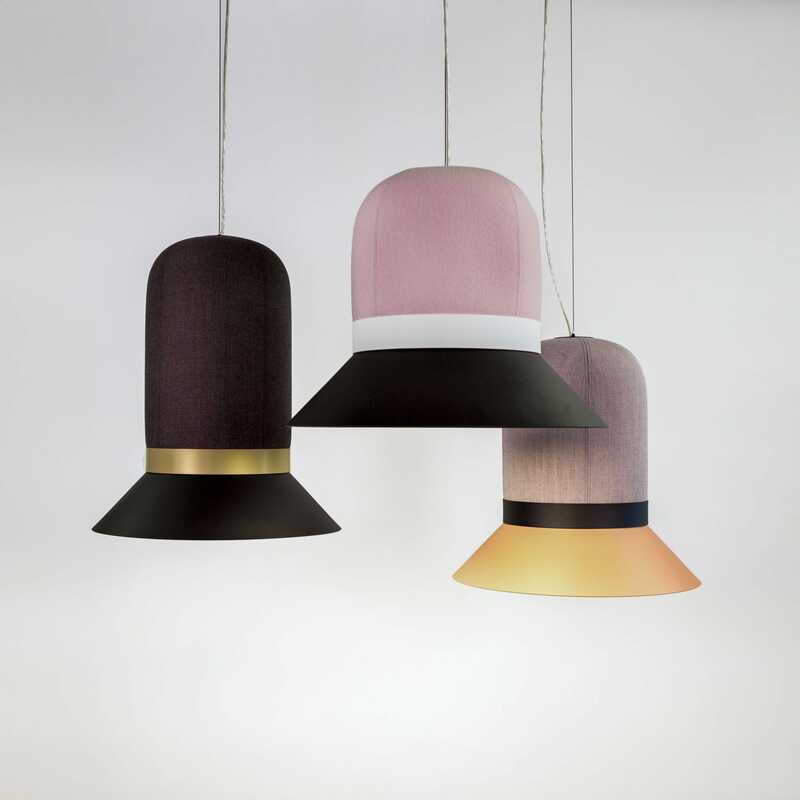 A decorative and highly recognizable hat-shaped pendant light with excellent sound absorption capabilities. 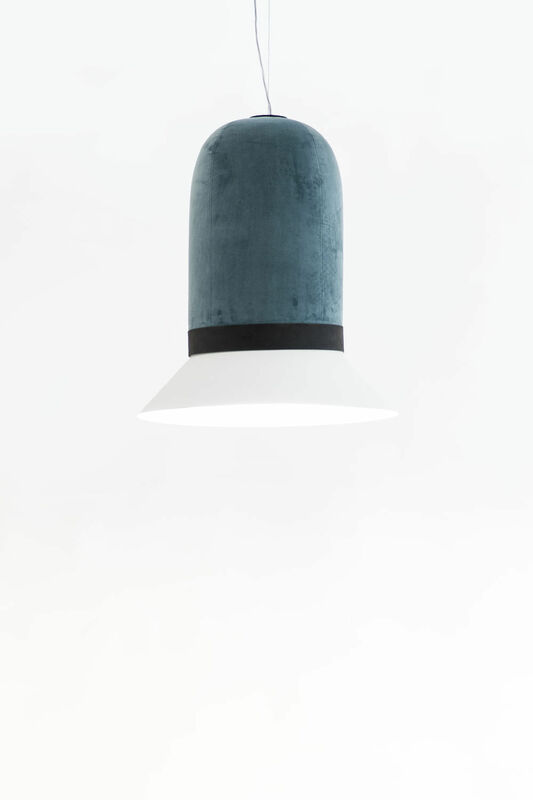 Its unique design, combining an upholstered part with a metal shade is bound to steal the attention in any space. 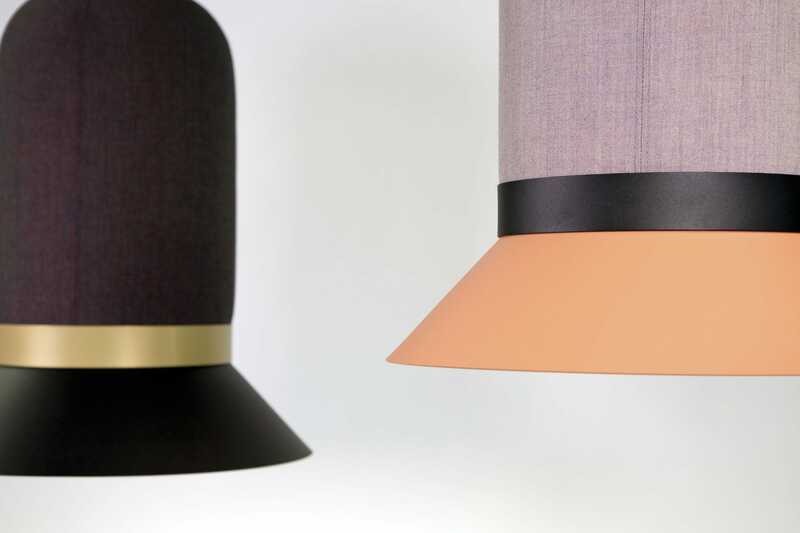 The upholstered foam body is available in a wide palette of color and fabric combinations, while the metal shade and ring come in 4 finishes (black, white, beige red and gold). 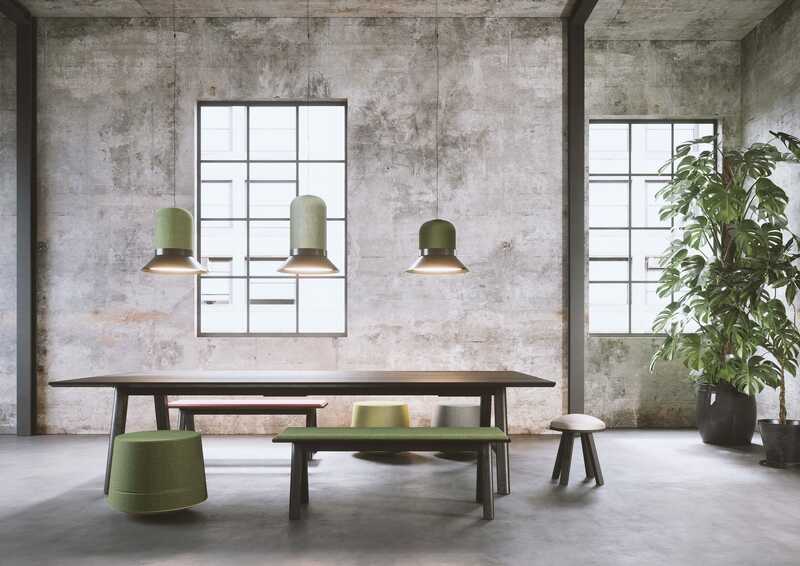 Mix colors of your choosing and match the fabric of BuzziHat with the color of your furniture to create an impeccable setting. 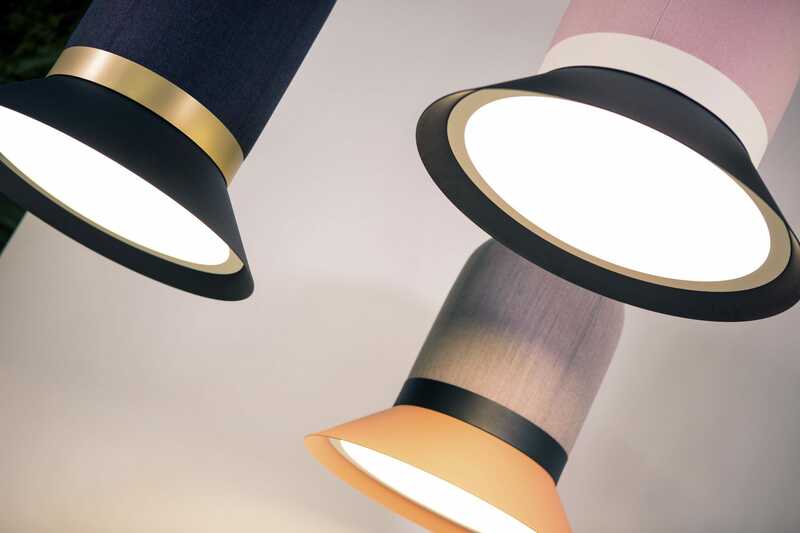 BuzziHat is available in different sizes to fit different sonic environments which makes it the ultimate acoustic lighting for any office, lobby or restaurant that needs acoustic absorption treatment combined with high-quality lighting.